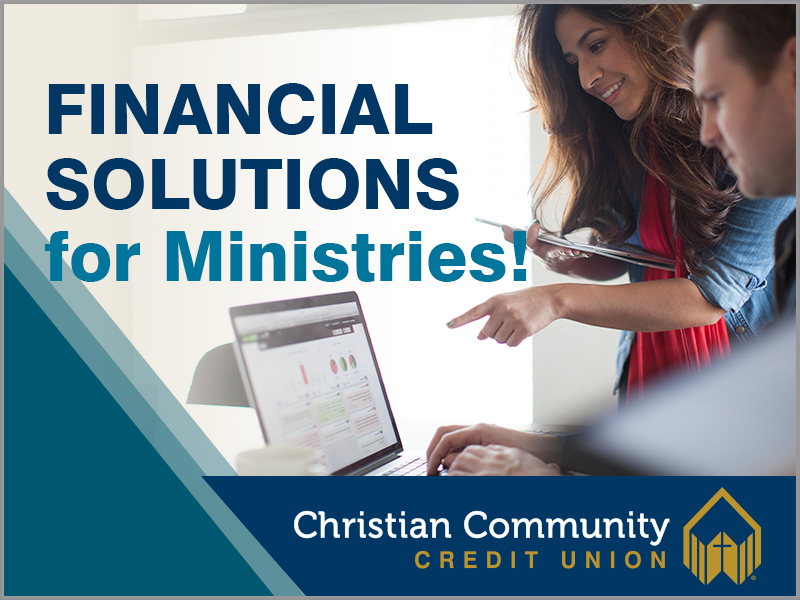 Helping ministries manage their money wisely is at the heart of Christian Community Credit Union. From higher-earning savings, lower loan rates, along with providing stewardship resources, the Credit Union offers affordable financial solutions. Its mission is to help members and ministries become better stewards and achieve their financial goals. Christian Community Credit Union understands the unique banking needs of Christian ministries. Vertina Butler, Communications Manager of New Life Christian Center, Durham, NC says, “The Credit Union has a clear understanding of how churches function and operate to help us remain good stewards of our finances.” To help your ministry save more, earn more and do more, contact the Credit Union’s Ministry Development Team. Call 800.347.2228 ext. 6216 or visit myCCCU.com/ministry.